A New Platform for Social Enterprise Startups in the U.S. The number of social enterprises in the United States has more than doubled since 2006. There is strong growth and support for these enterprises, and a lot of entrepreneurs are attracted to this $375 million industry. With over 500 social enterprises in the nation, the potential for impact is tremendous. Over the next few months, Short Enterprises and the Clinton Global Initiative (CGI) will be launching several initiatives that seek to provide a new platform for social enterprises in the United States. The first of which is the "Startup Insider Initiative," a CGI-A Commitment to Action that will feature both a new e-publication and web platform to bring together outstanding entrepreneurs, startups and small businesses in the impact sector, and provide them with the necessary tools and support to help their enterprises thrive. This new platform aims to bring social entrepreneurs and resource providers together, and consolidate the different networks in the social enterprise space. 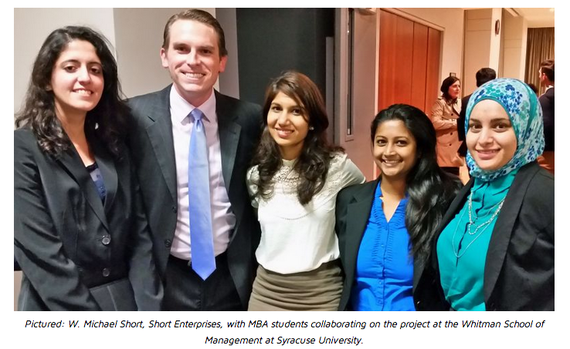 Professor Robert Kucharavey and his students at the S.I. 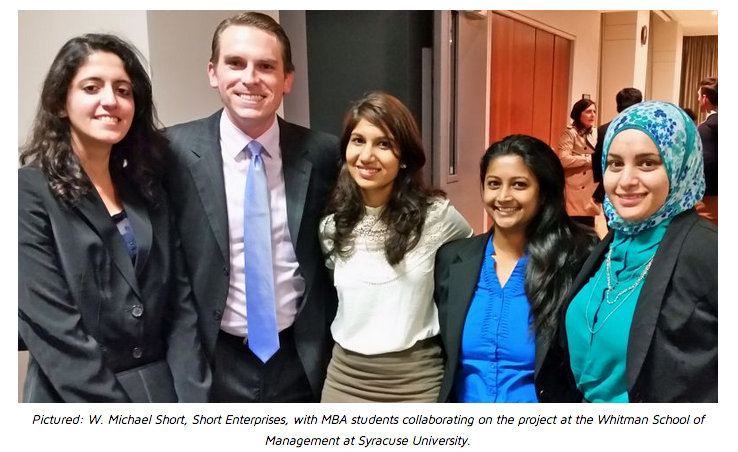 Newhouse School of Public Communications at Syracuse University have been actively engaged in developing and implementing the engagement strategy for the project's key constituencies on four key areas: women, social youth and veteran entrepreneurship. Short Enterprises CEO W. Michael Short believes the "Startup Insider presents a unique opportunity to support budding entrepreneurs and assist them with gaining traction and exposure, sharing ideas, and accessing crucial resources." Short was inspired to create the Startup Insider after his work with the Clinton Global Initiative America Community Investing Working Group, which works to bring private capital to small business lending, affordable housing, health and community and economic development. The Startup Initiative was launched at the 4th Annual Entrepreneurship Bootcamp for Veterans with Disabilities (EVB) Conference at the CNN Center in Atlanta on October 24-26, 2014. To learn more about the initiative, click here.